3990 North Clifford Avenue, Bemus Point, NY.| MLS# R1175762 | Chautauqua Lake Real Estate Services. Informed, Professional Real Estate Information Serving Buyers and Sellers Interested in Lake Chautauqua Real Estate and Chautauqua County NY Real Estate. Rick and Julia McMahon Real Estate Advantage Since 1992. Welcome to affordable CHQ Lake living! This 3 bedroom 2 bath Bemus Point home has lake rights, a fully remodeled high end kitchen, 2 full bathrooms, wood burning fireplace, a first floor bedroom, a family room, and TONS of storage for all the toys. All the details were well thought out right down to the world renowned Classic Brass hardware. This home has an additional storage garage that will fit your boat and sleds. 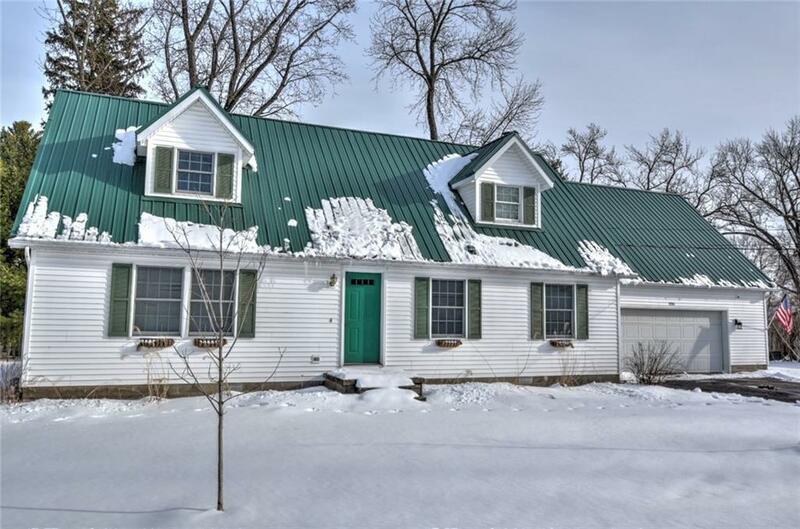 Whether your cozied up to the fireplace or walking down to your boat, this home has everything you could possibly need for the perfect Bemus Point experience.